The dandies. 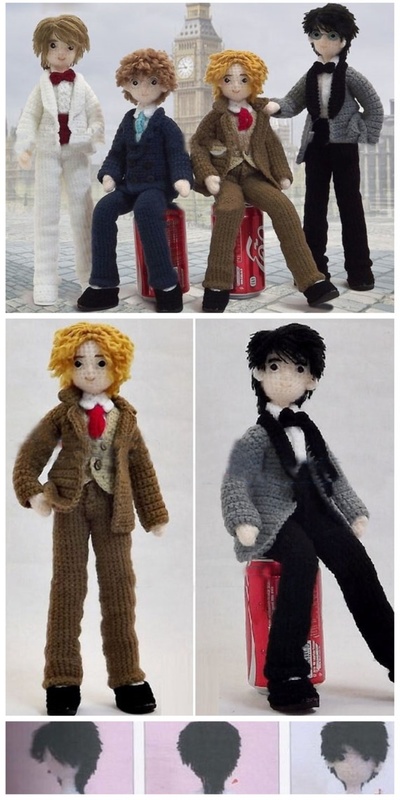 Amigurumi crochet boys , knitting patterns for amigurumi puppies - stylish boys in trousers, tuxedos, waistcoats and jackets. All of the above is accompanied by schemes that will help you cope with the work of creating knitted stilig. For work you will need a hook, a thin yarn of several colors - light pink or cream for the body of the boy, black for the shoes and white (blue, brown, gray) for trouser suits, vests and tuxedos. In addition, you will need wire for the frame, filler and needle with thread for embroidery of the eye. W - increase (3 sb).